The passing of a pet provides many people’s first contact with death, helping us to come to terms with the fragility of life and the inescapability of our own mortality. Like pets, people also have a tendency to go kaput, although whether or not our furry companions are able to comprehend the permanence of our departure is something that we may never know. What is clear, however, is that dogs react to death in a number of ways, ranging from the heartbreaking to the bizarre. 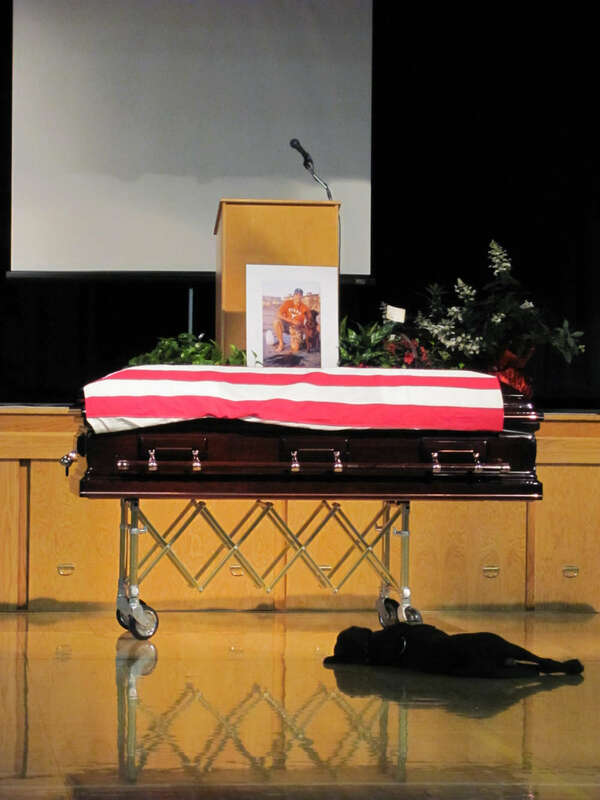 Among the most touching examples are the likes of Hawkeye, the black Labrador retriever who famously lay beside the coffin of Navy SEAL Jon Tumilson for the duration of his funeral in 2011. Elsewhere, an Akita called Hachikō became a national sensation in Japan in the 1930s when he started turning up at the local train station at the same time every day in order to greet his owner as he returned from work. One day, Hachikō’s human failed to show up, but that didn’t stop the dog from continuing to appear at the station every day for the rest of his life. However, whether or not these count as genuine examples of grieving is difficult to say, as it’s impossible to know what dogs are actually thinking and feeling. That’s not to say that dogs are by any means stupid, and an ever-increasing body of research into canine cognition indicates that they are emotionally complex animals with a high degree of social intelligence. For instance, recent studies have revealed that dogs are able to understand human vocabulary while simultaneously judging the tone of a person’s voice in order to decipher the true meaning of what they are saying. It’s this social intuition that allows dogs to form such close relationships with humans, and which generates such poignant responses from pets when their owners die.